PHILADELPHIA – Pope Francis on Saturday highlighted the need for ordinary Catholics, especially women, to help fortify the Church in the future, as he embarked on the final leg of his triumphal US tour in Philadelphia. The head of the world’s 1.2 billion Catholics landed in the City of Brotherly Love after a short flight from New York, where he spent a whirlwind 36 hours that included an emotional visit to Ground Zero and mass at Madison Square Garden. The 78-year-old Argentine pontiff is ending a historic visit to Cuba and the United States this weekend with a packed schedule in Philadelphia, including two appearances at the Festival of Families, an international gathering of Catholics. The city is under a security lockdown, with traffic banned downtown for the entire weekend and thousands of National Guardsmen in the streets. At the airport in Philadelphia, he walked down the steps of the jet and onto the red carpet, embracing members of the clergy and greet local dignitaries with a beaming smile. He got out of his modest Fiat at the sight of a child in a wheelchair close to the security barrier, and walked over to bless the child. Francis then headed straight to mass at the Cathedral Basilica of Saints Peter and Paul, where people slept in the street overnight in the hopes of seeing him. “It is significant that those words of the elderly Pope were also addressed to a lay woman,” Francis said. “We know that the future of the Church in a rapidly changing society will call, and even now calls, for a much more active engagement on the part of the laity,” he said, noting the “immense contribution” of women to Catholic communities. Keeping parishioners involved is an important issue in America’s Catholic Church: the number of new priests only covers one-third of the need, according to the Center for Applied Research in the Apostolate at Georgetown University. Later Saturday, Francis, the first pope from Latin America, is due to address immigrants at the city’s historic Independence Hall before greeting huge crowds at the Festival of Families, a Catholic event that takes place every three years. “I wanted to be part of this family celebration,” said 42-year-old Luis Ortiz, who slept outside with his 11 children near the cathedral. On Sunday, Francis will meet with American bishops, visit a prison and lead a farewell mass on Benjamin Franklin Parkway, the city’s grandest avenue, before leaving the United States. 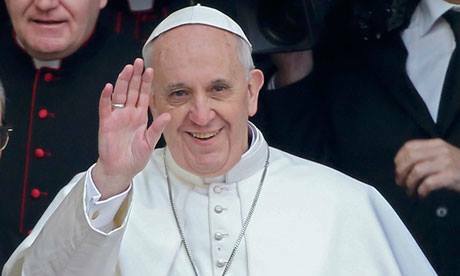 The pope has received a rapturous reception in America — he was welcomed personally by President Barack Obama when he arrived on Tuesday and by giant crowds in both Washington and the Big Apple. His reform-minded approach to social issues, humility and focus on the most vulnerable has struck a chord across the country’s racial and socioeconomic divide. New York treated the pontiff to a rock-star welcome. A sea of 80,000 people screamed out in joy as he proceeded through Central Park in his popemobile before celebrating mass at Madison Square Garden, New York’s premier concert venue, before about 20,000 people. Once again, the pope focused on society’s poorest, in a message voiced time and again in America’s financial capital, a city of staggering wealth but also need. “They are the foreigners, the children who go without schooling, those deprived of medical insurance, the homeless, the forgotten elderly,” the pope said. At the city’s somber September 11 Memorial, he laid a white rose and led a gathering of 700 in multi-faith prayers for world peace and paid tribute to the nearly 3,000 victims killed in the 2001 attacks. Francis was welcomed in song and laughter on a heartwarming visit to a Catholic school in New York’s East Harlem neighborhood. It was a stark contrast to the austere surroundings of the UN General Assembly, where he touched on the persecution of Christians in the Middle East, drug trafficking — “silently killing millions” — and the rights of girls to an education. As he did at the US Congress, the pope gave a passionate plea to protect the environment, voicing confidence that a looming UN summit on climate change would reach “effective” agreement in Paris. Francis also offered a strong endorsement of Iran’s agreement with the United States and five other world powers to limit its nuclear program. The word of God this Sunday is focused on the openness and respect for those who are different. Pope Francis’ speech yesterday before Philadelphia’s iconic Independence Hall echoed that thought, when he gave a ringing endorsement of RELIGIOUS FREEDOM. “Do not forget the lessons you learned from your elders,” he stated, “which are something you can bring to enrich the life of this American land. “Pope Francis made his remarks from the same lectern Abraham Lincoln used to give the Gettysburg Address, a fitting setting for a speech stressing freedom. He declared, however, that the rights of the faithful should extend well beyond the sanctuary door.”Religious freedom certainly means the right to worship God, individually and in community, as our consciences dictate,” he averred. O God our Creator, we ask you to bless us in our vigilance for the gift of religious liberty. Give us the strength of mind and heart to readily defend our freedoms when they are threatened; give us courage in making our voices heard on behalf of the rights of your Church and the freedom of conscience of all people of faith. We ask this through Christ our Lord. Amen. (Vatican Radio) Pope Francis remembered the persecuted Christians in the world on Sunday – Palm Sunday – during Mass in St. Peter’s Square. Following the proclamation of the Passion according to St. Mark, Pope Francis delivered a homily, in which he reflected on the plight of all those who endure humiliation because of their faithfulness to the Gospel, all those who face discrimination and pay a personal price for their fidelity to Christ. 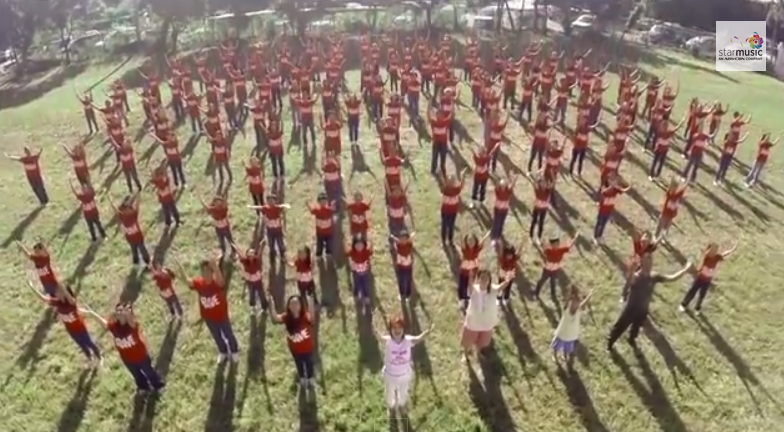 Here is the Official Theme Song for the 2015 Apostolic Visit of Pope Francis to the Philippines. Do you see these children on the streets? Have you walked the pavements where they sleep? Do you feel their hands when you give them alms? Did you ever give them bread to eat? Have you seen their homes washed by the floods? Do you hear the wind of the raging storm? Can you tell them where it’s coming from? Lyrics written and sung by Jamie Rivera with The Hail Mary the Queen Children’s Choir. Published by Star Songs, Inc.
That the birth of the Redeemer may bring peace and hope to all people of good will. One night a long time ago an angel appeared to some shepherds and told them a savior had been born nearby who would save people from their sins and ultimately from death. Then many angels appeared proclaiming “peace on earth, good will to all.” What an amazing scene in the hills outside Bethlehem! Jesus was born to reconcile humanity with God and with one another. He came to establish the just order based on loving God above all else and on loving others as children of God. Sharing human life to the point of suffering and dying, Jesus brought hope. He rose from the dead never to die again, and he offers eternal life to all who come to him. May this Christmas bring peace and hope to all! How do I find peace and hope in the celebration of Christmas? Colossians 1: 15-23 Christ is our peace and reconciliation. Pope Francis’ secret recipe for happiness. Slowing down, being generous and fighting for peace are part of Pope Francis’ secret recipe for happiness. 4. “A healthy sense of leisure.” The pleasures of art, literature and playing together with children have been lost, he said. “Consumerism has brought us anxiety” and stress, causing people to lose a “healthy culture of leisure.” Their time is “swallowed up” so people can’t share it with anyone. Even though many parents work long hours, they must set aside time to play with their children; work schedules make it “complicated, but you must do it,” he said. Families must also turn off the TV when they sit down to eat because, even though television is useful for keeping up with the news, having it on during mealtime “doesn’t let you communicate” with each other, the pope said. 5. Sundays should be holidays. Workers should have Sundays off because “Sunday is for family,” he said. 6. Find innovative ways to create dignified jobs for young people. “We need to be creative with young people. If they have no opportunities they will get into drugs” and be more vulnerable to suicide, he said. “It’s not enough to give them food,” he said. “Dignity is given to you when you can bring food home” from one’s own labor. 9. Don’t proselytize; respect others’ beliefs. “We can inspire others through witness so that one grows together in communicating. But the worst thing of all is religious proselytism, which paralyzes: ‘I am talking with you in order to persuade you,’ No. Each person dialogues, starting with his and her own identity. 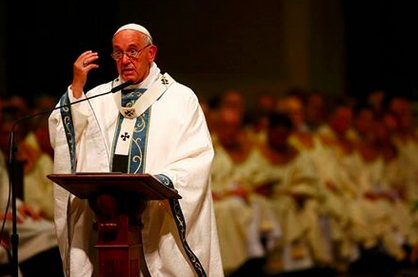 The church grows by attraction, not proselytizing,” the pope said. 10. Work for peace. “We are living in a time of many wars,” he said, and “the call for peace must be shouted. Peace sometimes gives the impression of being quiet, but it is never quiet, peace is always proactive” and dynamic.